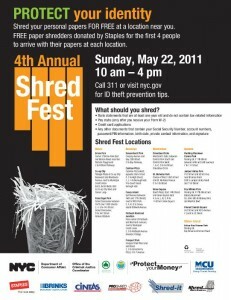 The 4th annual Shred Fest will be held on Sunday, May 22nd. from 10am until 4pm. 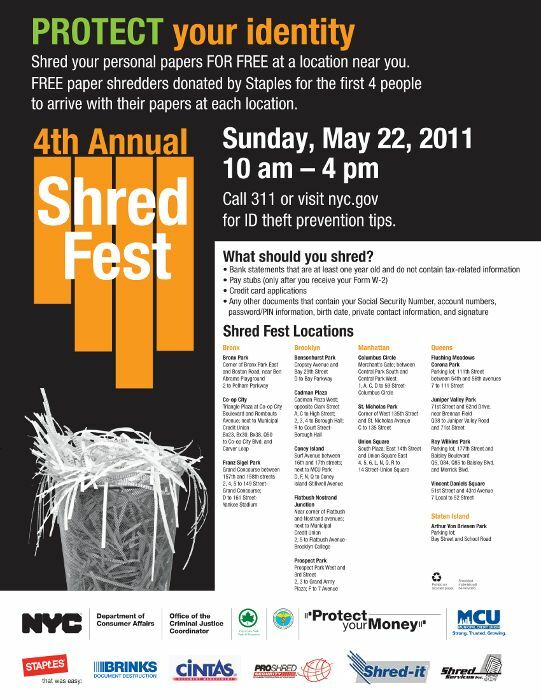 Shred your personal papers FOR FREE at a location near you.